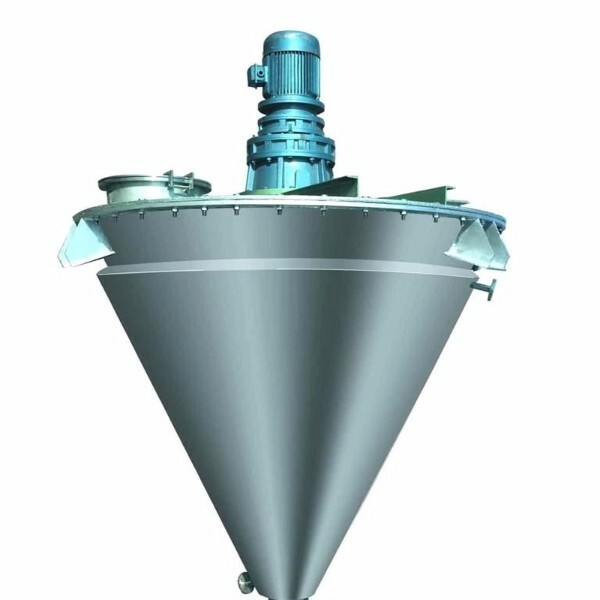 Stainless steel spiral cone mixer is a new type of high efficiency, high precision mixing equipment. The machine uses a set of motor and cycloid reducer composed of revolution and rotation, the use of the length of the mixing screw rotation and rotation of the two screw rotation principle of the whole, so that the proportion of the material with different proportions to achieve the desired degree of mixing, mixing time Short, good effect. Widely used in pharmaceutical, food, chemicals, pesticides, feed, petroleum, metallurgical mines, building materials industry, paint and other industries mixed powder. 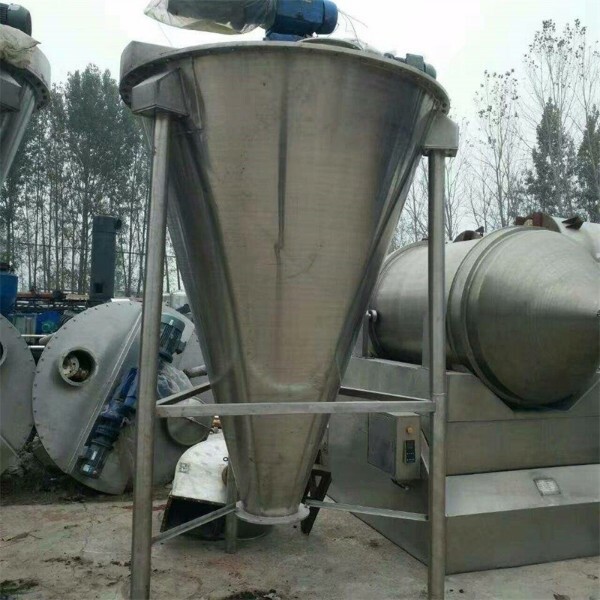 Stainless steel spiral cone mixer works: Due to the double helix revolution and make the powder along the cone wall for circular motion. Spiral blade rotation, the powder discharged to the central cone for radial movement. 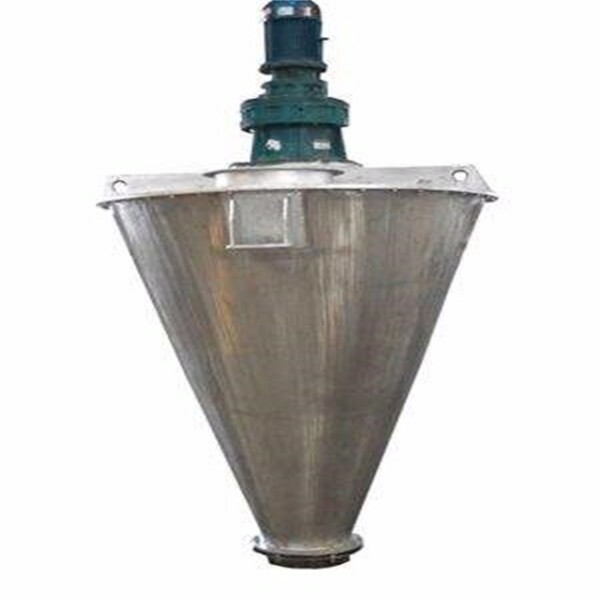 Powder from the cone to the upward flow and the spiral outer circumferential surface of the discharge, that is, mixing the direction of the screw axis. Spiral in the mixer revolution, the combination of rotation, resulting in four forms of powder flow, that is, convection, shear, diffusion, seepage composite movement. Therefore, powder material in this mixer can quickly achieve uniform mixing. 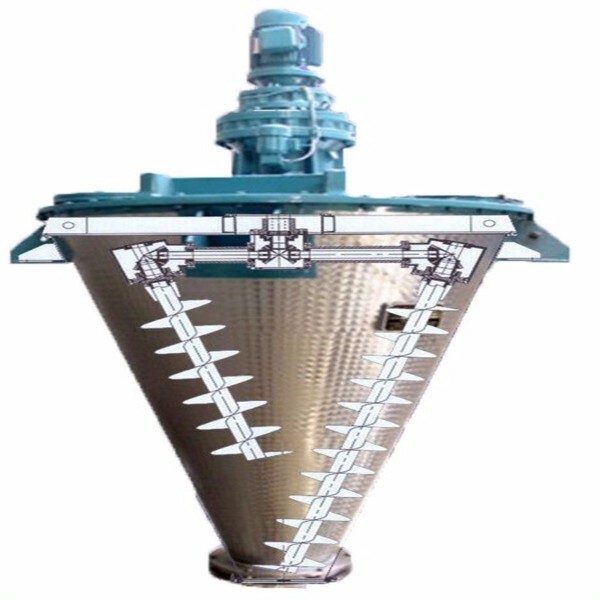 Stainless steel spiral cone mixer Features 1, advanced structure, easy operation, safe and reliable operation, screw shaft without bottom bearing, which eliminates the bottom bearing leakage caused by the failure. 2, mixing speed, mixing quality and uniform. The machine double helix asymmetric arrangement, a large and small to expand the scope of mixing, and thus the contrast of the great disparity, mixed mix of special mixing more suitable. Mixing time is short, high mixing uniformity, the material is clean 3, energy-saving effect is significant, compared with the energy consumption of the mixer and tumbler only about one tenth. 4, the mixing process is gentle, the material will not produce pressure, wear, overheating phenomenon. 5, the mixed preparation is stable, does not occur stratification and segregation phenomenon. 6, double spiral cone mixer sealed clean, easy to operate, easy maintenance. 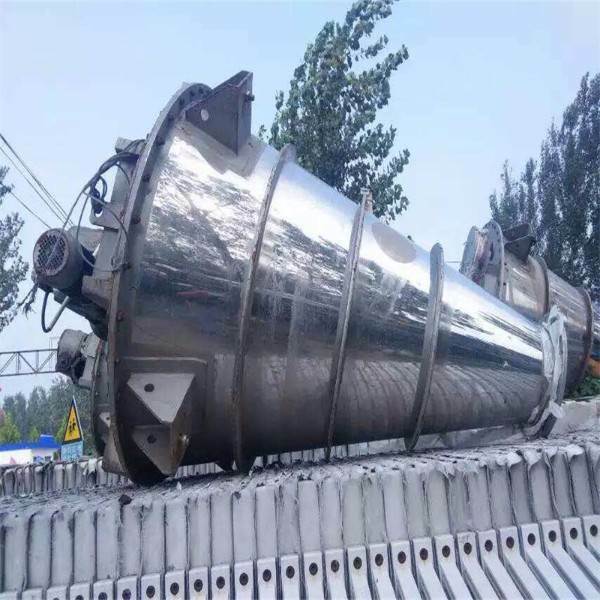 Long service life, but also according to user requirements, the cone made of pressure vessels can be pressurized to operate vacuum.